Benign Prostatic Hyperplasia (BPH) is an epidemic in North America. 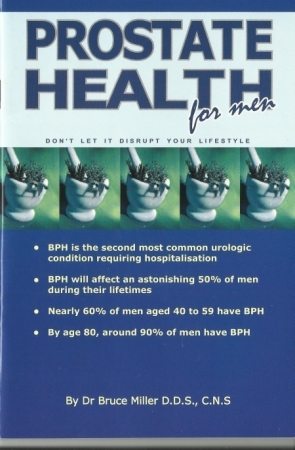 BPH can start as early as the 20s, but by ages 40 to 59, 60% have BPH. By age 80, 90% have it! Each year BPH accounts for 1.7million visits to the doctor and over 400,000 surgeries. Treating BPH has become a surger/drug growth business. One drug is being consumed by over half-a-million men in 25 countries! Their message is that you are going to get BPH and surgery/drugs are the answer. But wait! Why not be in the group that doesn't get BPH. I wrote this book to give hope. If you already have BPH, this book tells you how to possibly avoid surgery/drugs with a natural, safe and proven way. A Healthy Prostate Program is detailed for optimal prostate health. Every man in North America must read this book!